For their fans, Arkells are the most important band on the planet. A series of blistering album releases have pushed them to the forefront, with the five-piece recently announcing a full arena tour in their native Canada. 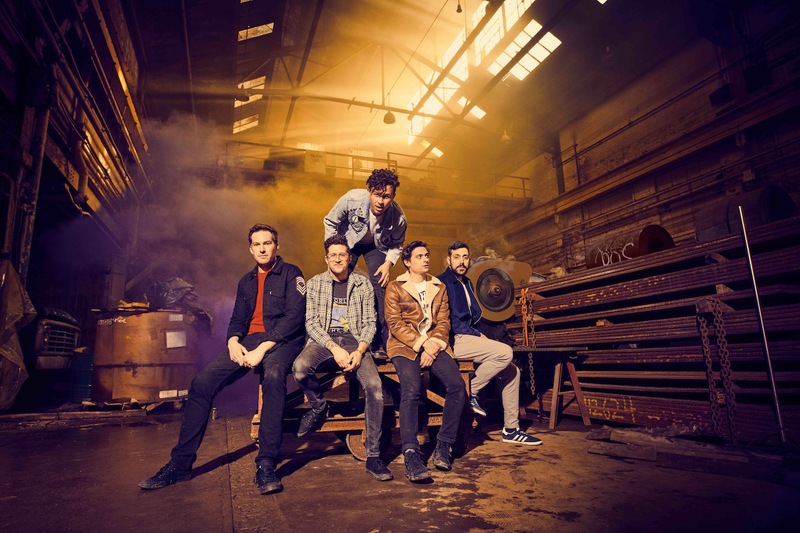 Returning to Europe this month, Arkells will hit the UK for a series of blistering live shows, and in a way it returns them to their spiritual home. New album 'RALLY CRY' is out now, and key track 'Hand Me Downs' owes a debt to this country's lineage of righteous, politically motivated punk artists. Prompted by touring with Frank Turner and exploring Joe Strummer's solo years, it began as an acoustic sketch before being fleshed out into something more visceral. We're able to premiere the full video for 'Hand Me Downs' before anyone else, an absolute blaster for Friday morning. 'Hand Me Downs' was one of the last songs we wrote for 'RALLY CRY'. In the spring, we left the studio to head to the UK for a month long tour with Frank Turner, knowing that we had to come back and record a few more tunes to finish the album. Every night we got to watch Frank Turner and The Sleeping Souls create these collective moments of unity with the crowds. These sing-a-longs at these shows are kind of stunning - so much joy, so much heart. At the time I was listening to a lot of Joe Strummer, and became somewhat obsessed with the song 'Johnny Appleseed'. The alchemy of watching Frank every night, and listening to Joe helped inform the beginnings of 'Hand Me Downs'. We recorded a quick acoustic demo, and then as soon as we got home we hit the studio and recorded the song in three days. Frank was in Toronto on tour in September and it only made sense to cut a version with him singing. He's a gamer, of course: he came in a little hungover, but ready to run takes. I love this version of the tune. His sense of work ethic and commitment to the craft has been a guiding light for me. Stoked to play this one live. It opens the record, but I think it'll close the set. For tickets to the latest Arkells shows click HERE.